Visualize business, scientific, financial and presentation charts. NOV Chart for .NET is an advanced .NET charting component for cross-platform application development. 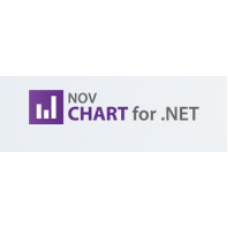 NOV Chart allows for the visualization of business, scientific, financial and presentation charts. Single code base for WPF, WinForms, Silverlight, MonoMac & Xamarin.Mac. Complete set of 2D charting types. Unlimited number of chart series and axes. Interactivity features - zooming, scrolling, tooltips.